For the second year in a row, Honda is the country's leading manufacturer when it comes to after-sales customer satisfaction. This is according to the results of J.D. Power's 2018 Customer Service Index released earlier today. 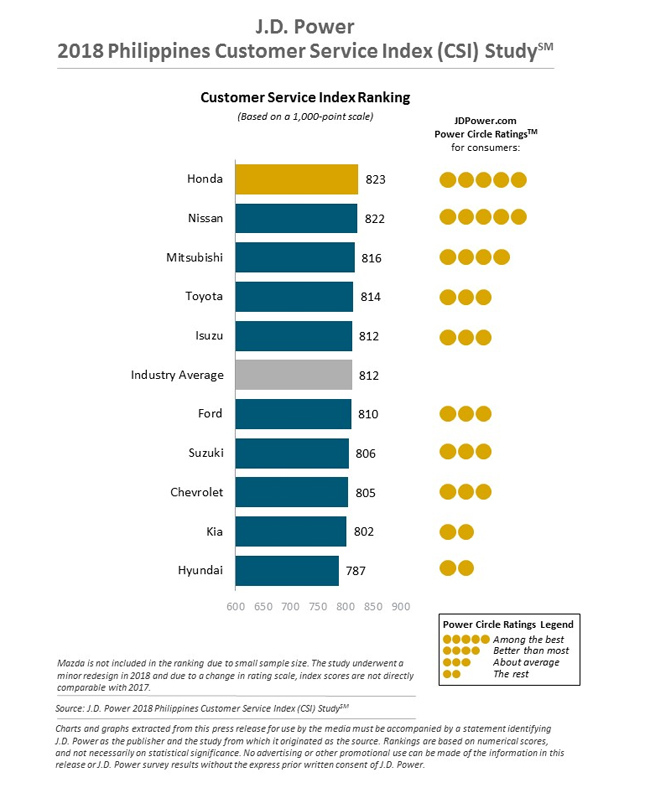 Honda led all car brands with an overall score of 823, thanks to strong performances in three of five factors taken into consideration for the study: Service initiation, service advisor and service facility. Honda is joined in the top three by two other Japanese rivals—Nissan finished in second with a score of 822 points, and Mitsubishi in third with 816 points. 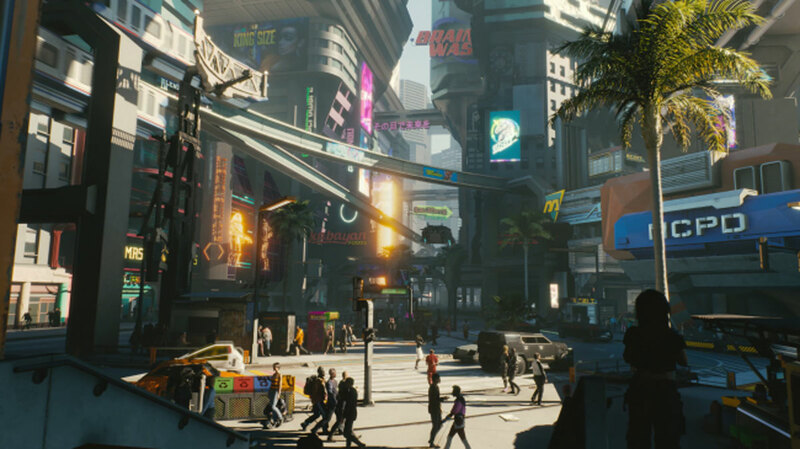 The other two factors are service quality and vehicle pick-up. Toyota, the country's leading carmaker, comes in at fourth with a total score of 814 points, and Isuzu rounds out the top five with 812. All the other carmakers that follow fall below the industry average of 812 points, including Ford, Suzuki, Chevrolet, Kia and Hyundai. You can check out all their scores in the table below. Now some of you might have noticed that Mazda is absent from the list. This is because, according to J.D. Power, the manufacturer had too small a sample size to be included in the rankings following a redesign of the study in 2018. There are a few key things not in this year's study. More customers are now being offered express service at dealerships, and nearly half of them (44%) were able to receive their vehicle again within just two hours. What's more, overall satisfaction is higher among customers who availed of express service compared to those who did not (820 points vs. 793 points). Over half of those who availed also say they "definitely would" recommend their service center to friends or relatives. Another development worth pointing out is how car dealerships are now updating owners when to have their vehicle serviced—87% of customers now say they received such notifications, compared to just 66% in 2017. The study also found that 32% of owners prefer to observe their vehicle as it's being serviced, and being able to speak with a mechanic or technician positively impacts the service experience.